Tap center for UNLOCK tap actions. tap on date for open agenda on your watch. left dial is walk indicator, tap and open google fit on watch. 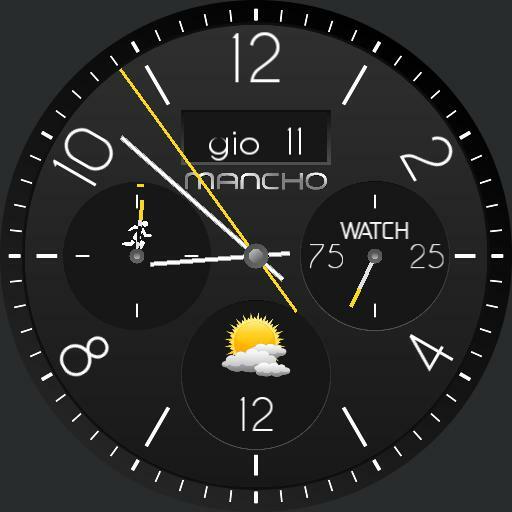 right dial is battery level with color change, tap for see watch or Phone battery level.